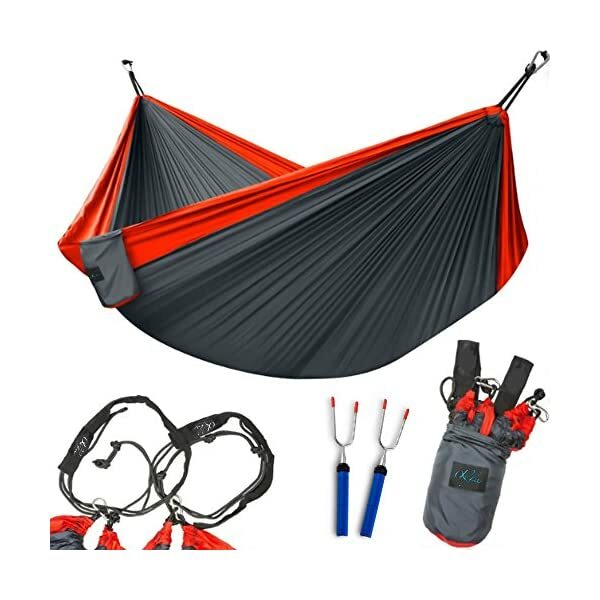 SHRINK YOUR PACKING LIST AND NOW IN A SPECIAL PRICE – Wave goodbye to overstuffed, oversized camping equipment when you add your new travel hammock to your backpacking gear. 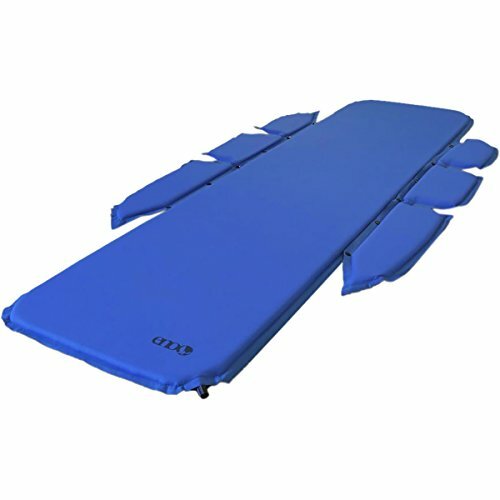 Forget bulky camping chairs, and say “see ya’ later” to your space-consuming sleeping mat camping nightmare. 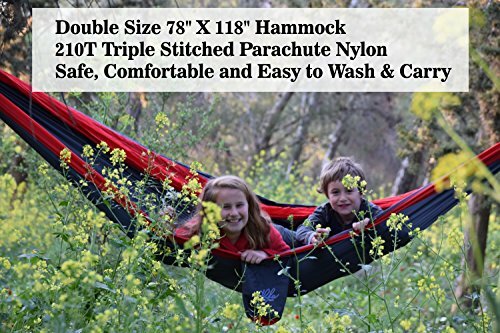 Enjoy the freedom this ultra lightweight, super portable hammock brings to your next adventure! HEAVY DUTY DURABILITY IN A COMPACT PACKAGE – Feel secure in your hammock with our sturdy, premium nylon hammock parachute grade construction, which will keep you swinging safely for years to come. All the while, your old compact tent won’t be able to compare to the tiny, 2 lb. sack this tree hammock stuffs into. 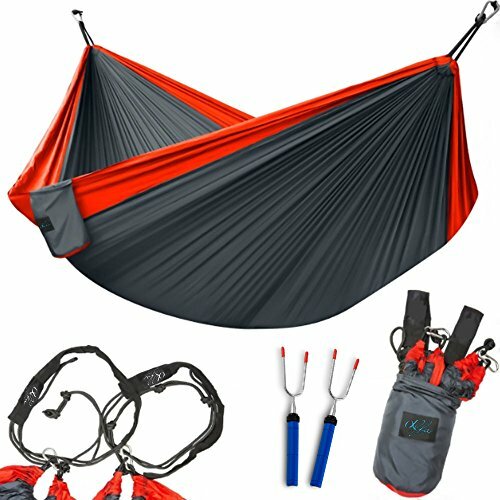 EVERYTHING YOU NEED TO HIT THE ROAD – With Alfa-Comfort, you get the complete backpacking hammock kit. 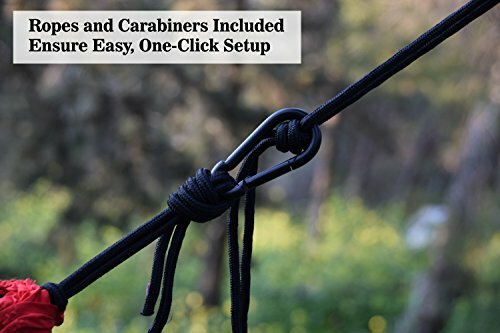 Not only do you receive a huge, double sized, 118″x78″ folding hammock, but you’ll also get 175″ ropes, 21″ protective sleeves, and carabiners to hang your tent hammock nearly anywhere. Whether you’re looking for a camping hammock, tents for camping, or hammock beds for bedrooms, this is the best hammock for the job. Camping has never been so comfy! 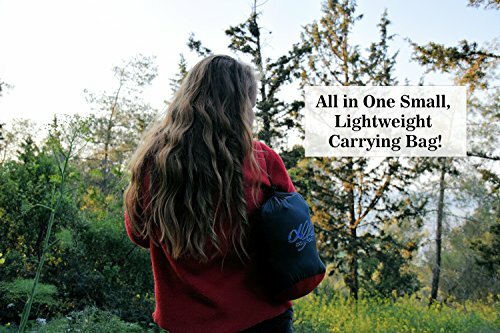 Remember all those days spent packing your hiking gear, and sacrificing comfortable sleep for a lightweight bag? Have nightmares of the time you brought your folding chairs camping, but still find yourself debating whether to bring them on your next expedition? 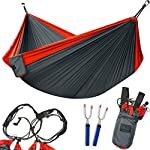 Overwhelmed and unsure of how to make a choice the best hammock from all of the hammocks for camping that you find online? Relax, this is the hammock you’ve been looking for! 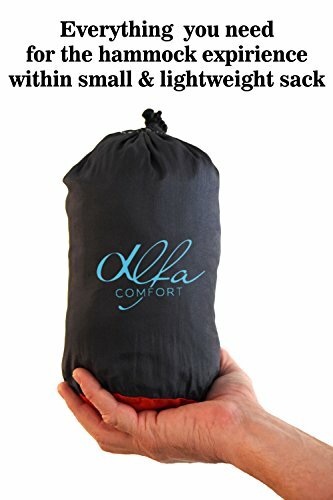 Never sacrifice comfort for convenience again with your Alfa-Comfort XXL Double Hammock. 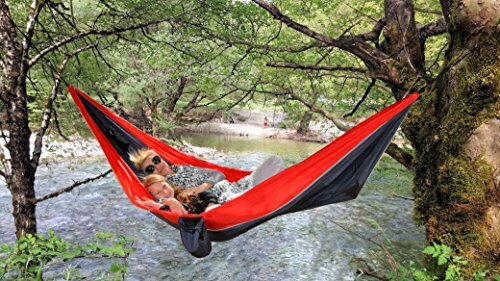 This hammock is comfier than an oversize camping chair with outdoor wicker seat cushions, yet more versatile than the handiest pocket multi-tool. 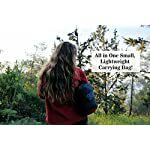 Replace your shade camping tent, sleeping pad, pillow, sleeping bag, and outdoor camping chair with one compact, lightweight, and super sturdy hammock. Setting up camp after a long day on the trails isn’t anyone’s favorite activity. With our hammock hiking and relaxing are only seconds apart. 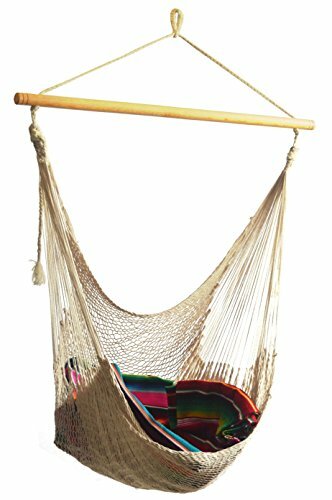 Since this hammock sets up in seconds, it’s also perfect for beach vacations, mountain trekking, pool days, the backyard, on your boat (or yacht), or anywhere else you wish to have to kick your feet up and relax in the great outdoors. Durable construction for peaceful nights (or days). 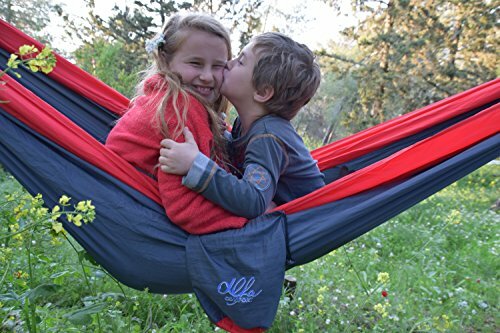 Our hammocks are made from triple-stitched, 210T parachute nylon, so they safely and comfortably hold 2 people. Top of the range waterproof nylon will keep you cool or protect you from the elements. 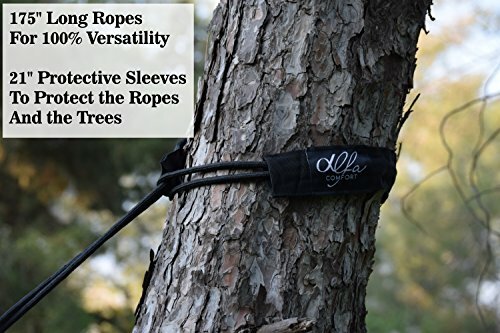 Plus, we include 14ft ropes, heavy duty carabiners, and protective sleeves (to offer protection to the tree and your ropes), so you have everything you wish to have to setup your hammock in just 2 clicks! 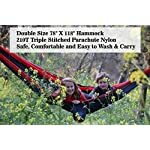 SHRINK YOUR PACKING LIST AND NOW IN A SPECIAL PRICE – Wave goodbye to overstuffed, oversized camping equipment when you add your new travel hammock to your backpacking gear. Fail to remember bulky camping chairs, and say “see ya’ later” to your space-consuming sleeping mat camping nightmare. 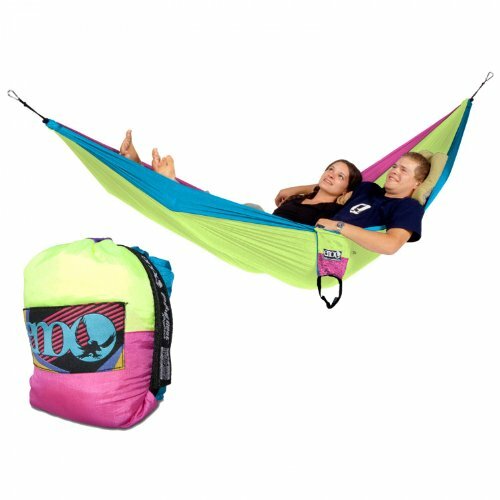 Enjoy the freedom this ultra lightweight, super portable hammock brings to your next adventure! 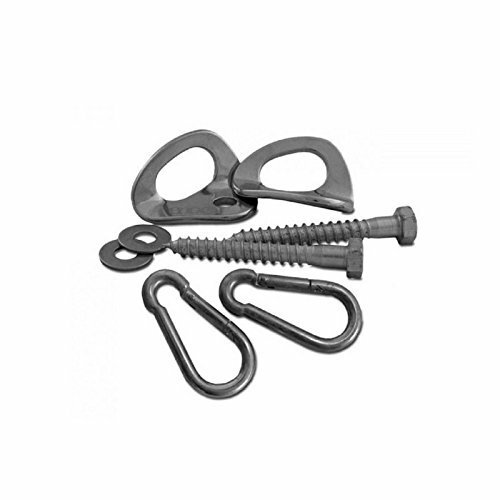 HEAVY DUTY DURABILITY IN A COMPACT PACKAGE – Feel secure in your hammock with our sturdy, premium nylon hammock parachute grade construction, which will keep you swinging safely for future years. All the at the same time as, your old compact tent will be unable to compare to the tiny, 2 lb. sack this tree hammock stuffs into. 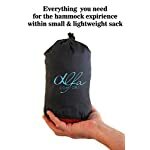 EVERYTHING YOU NEED TO HIT THE ROAD – With Alfa-Comfort, you get the complete backpacking hammock kit. 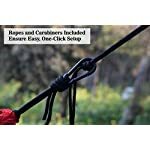 Not only do you receive a huge, double sized, 118″x78″ folding hammock, but you can also get 175″ ropes, 21″ protective sleeves, and carabiners to hang your tent hammock nearly anywhere. 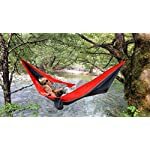 Whether you’re looking for a camping hammock, tents for camping, or hammock beds for bedrooms, this is the best hammock for the job. SPACIOUS SIZE FOR SOLO OR COUPLES HAMMOCK TIME – Tired of wasting money on double the camping gear? Sick of lugging around your kids camping chair, camper tarp, and everyone else’s overflow? Our waterproof hammock is versatile and convenient to carry, making it the perfect hiking hammock for one, and the just as ideal 2 person hammock for camping! Stop getting elbowed in the side, and enjoy peaceful lounging at last. 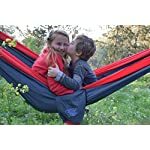 FREE BONUS + 100% SATISFACTION GUARANTEE – If for whatever reason you don’t fall head over heals for your backpack hammock, we’ll refund your money. In fact, we care so much about your happiness that we’re including a FREE GIFT! 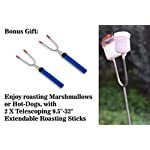 To say thank you, we’re giving you 2 telescoping roasting sticks. 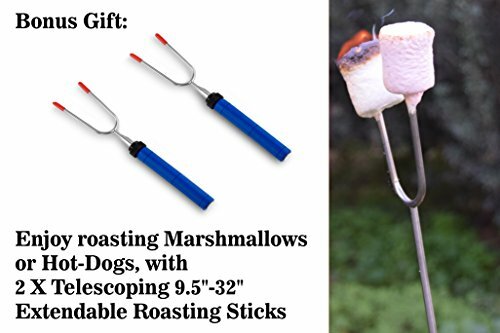 Grab your fire starters and camp grill, and you have all the camping accessories you wish to have to enjoy fresh off the fire marshmallows, hot dogs, or whatever else sounds tasty!